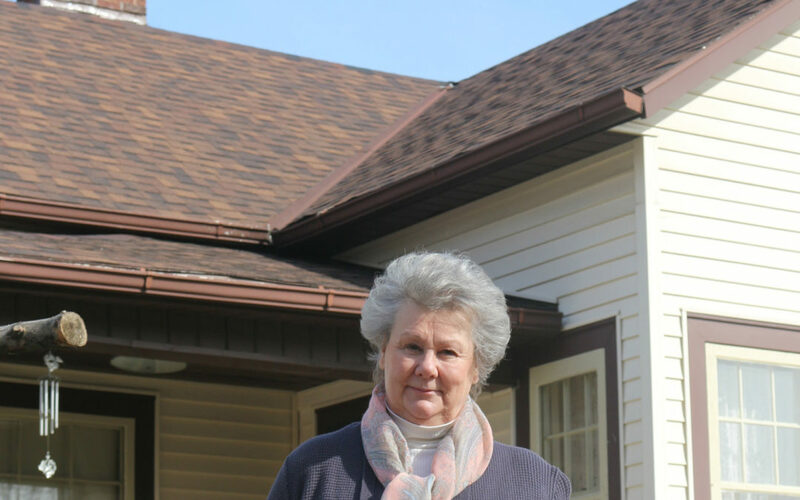 Josie is a single, senior citizen with roof that she said was “dying faster than she was”. In early 2015, a friend told Josie that he would fix half her roof in the fall and the other half in the spring. Josie gave him every penny she had, which was $627. Unfortunately, she never saw that friend again. But she was able to connect with Habitat, who chose Josie to receive a brand new roof in October 2016. Modeled after our new home program, Josie is paying on her roof and putting in sweat equity hours by volunteering at the ReStore. Josie is one of the more than 40 Repair projects Habitat has completed since beginning the program in 2013. From flooring, to electrical, to hot water heaters, Habitat has been able to empower dozens of families by keeping them in their otherwise unsafe or unliveable homes.